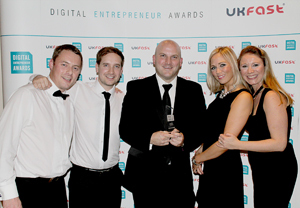 Guest Blog: How do Entrepreneurial Competitions and Awards Benefit the Startup Sector? The benefits for a startup entering – let alone winning – entrepreneurial competitions or awards are myriad. However, there are three main sectors in which the benefits can be seen. Both before and after the awards or competition, this can be a vital opportunity to evaluate and improve a business model. The deadline can be a great motivator and innovator, and the categories themselves offer an insight into what’s expected of a flourishing startup company. To give an obvious example, if the entry categories include social media then you know that your business really needs to include a strong social plan! The opportunity to organise and present a business plan can really help bring together the business’ strategy, and post-awards any feedback from the judges can be invaluable. There may even be a prize of mentoring or money, which can massively help a business that’s just starting out. The publicity from the awards is also a massive pull. If you win you get huge amounts of recognition and validation; even if you don’t, it’s great publicity and will get your name out there to top industry names. Essentially it can put a business on the map for hard work, innovation, and general awesomeness. If you do win, then awards are great selling points in marketing and promotional material, adding assurance for potential customers – and they look great on websites! This will mostly be on the night itself. Attending the awards night will offer opportunities that – especially as a smaller business that presumably invests most of its profits back into the business in the form of vital things like employee wages, business advancement and a company coffee machine – you might not otherwise have access to. This can include the opportunity to see guest speakers, network with peers – and scope out the competition – and get a more rounded view of the industry. Plus, the whole industry benefits! For the industry as a whole, it’s a great opportunity to seek out future industry leaders, and push each other to be better. Entrepreneurialism as an industry has – by definition – to be cutting edge; so recognising, encouraging, and celebrating the traits that competition and awards foster is a vital way of pushing toward a brighter future for everyone! UKFast is one of the UK’s leading managed hosting and colocation providers, supplying dedicated server hosting, critical application hosting, and cloud hosting solutions. They have been the main sponsors of the Digital Entrepreneur Awards – the UK’s only national awards dedicated to internet entrepreneurialism – for over ten years. IdeaSquares is a strong supporter of entrepreneurial competitions, and our partners include both MassChallenge UK and Entrepreneurial Spark. Join the IdeaSquares community today! This entry was posted on May 25, 2015 by ideasquares in Entrepreneurs, Guest Blog, Startups and tagged awards, entrepreneurs, guest blog.